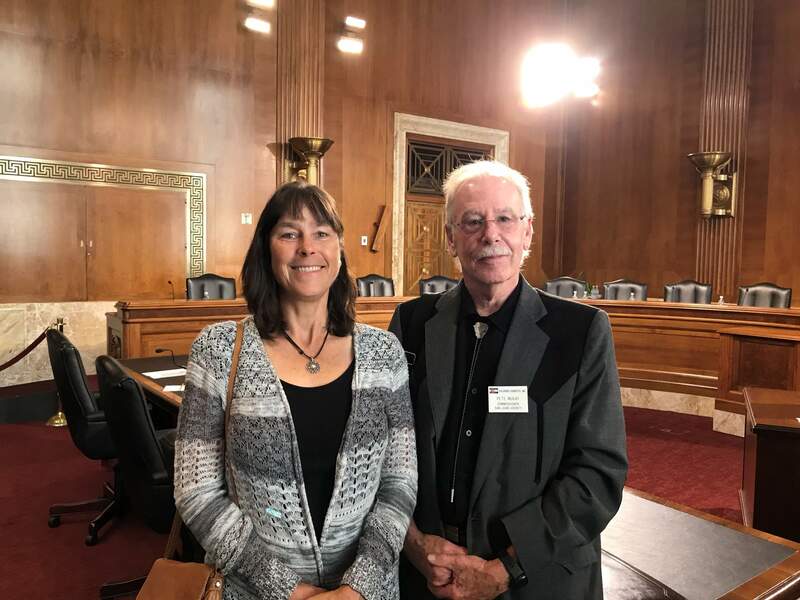 WASHINGTON, D.C. – The San Juan Mountains Wilderness Act received a hearing Wednesday at the Senate Energy and Natural Resources Subcommittee, which was attended by supporters from San Juan and San Miguel counties. Sen. Michael Bennet spoke in support of the bill, which would protect about 61,000 acres of land as wilderness in the San Juan Mountains. The bill was first introduced in 2009, but Bennet introduced an updated version of the bill in April. He was joined at the time by San Miguel County Commissioner Hilary Cooper. And he was joined Wednesday by San Miguel County Commissioner Joan May and San Juan County Commissioner Pete McKay. Bennet called his bill a “balanced piece of legislation” that brings together local businesses, ranchers, landowners and outdoor enthusiasts to reflect the diverse interests of the region. The wilderness designation would extend some of the strictest federal conservation protections to the range’s most prominent peaks, including two Fourteeners, Mount Sneffels and Wilson Peak. 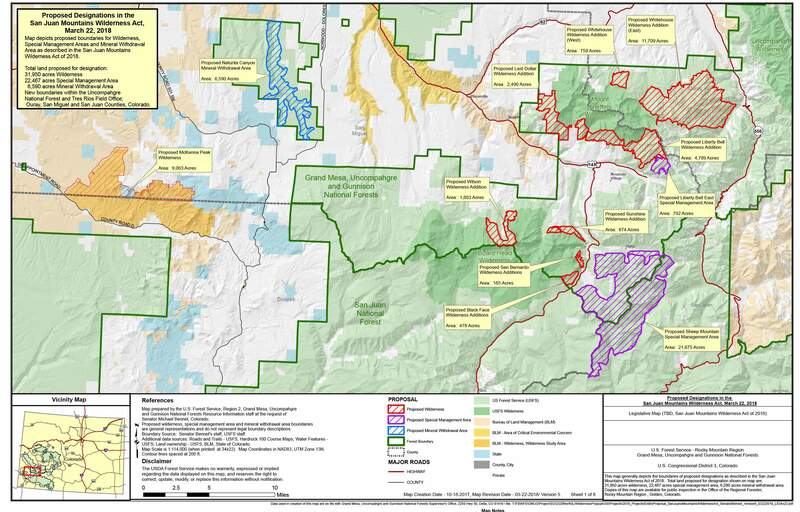 Additionally, the bill would designate 11 areas in the San Juan National Forest as wilderness or special management areas and would prevent mining in Naturita Canyon. May and McKay spoke to The Durango Herald after Wednesday’s hearing. May said it was special to help draft the bill and travel to Washington to join the hearing. “It was really worthwhile to come here so we could meet with Sen. (Cory) Gardner and Sen. Bennet about this bill and relay to them the importance of this from their constituents back at home,” May said. McKay said the bill helps protect Southwest Colorado’s economic viability. Tourism and recreation help ensure economic stability for Southwest Colorado. McKay said he looks forward to seeing this bill move forward. “We are hopeful that Sen. Gardner and Rep. (Scott) Tipton can bolster this regional effort to safeguard our public lands by becoming enthusiastic sponsors of Sen. Bennet’s bill in this legislative session,” said Jimbo Buickerood with the San Juan Citizens Alliance. Tipton, R-Colo., said he has heard concerns about the bill from residents of San Juan County. Maria Carrasco is an intern for The Durango Herald and a student at American University in Washington, D.C. The San Jan Mountains Wilderness Act received a hearing Wednesday before the Senate Energy and Natural Resources Subcommittee. The bill would protect about 61,000 acres of land, including two Fourteeners: Mount Sneffels and Wilson Peak. 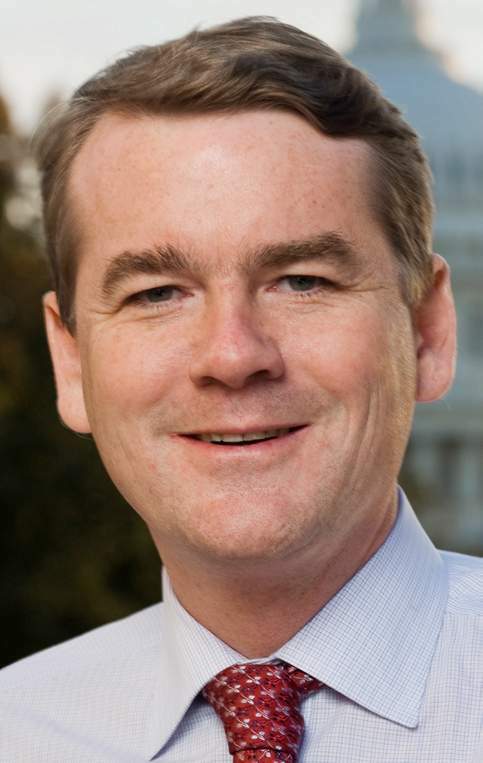 San Miguel County Commissioner Joan May and San Juan County Commissioner Pete McKay join Sen. Michael Bennet, D-Colo., for a Senate subcommittee hearing Wednesday to discuss the San Juan Mountains Wilderness Act. Do you support the San Juan Mountains Wilderness Act, which would protect 61,000 acres in the San Juan Mountains?